This is a local multiplayer arcade action game where each life is etched into the fabric of time, and dying merely causes time to rewind to just before you began. Stack up on time-selves and overwhelm your opponent before you run out of charge! This game was crafted in 60 hours of development using the Duality2d game engine, a criminally underrated 2D game engine. 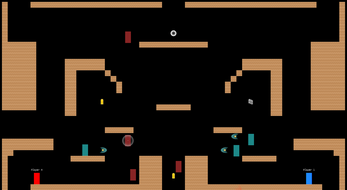 Originally planned to be a collaboration set in the far future where corporations would do legally approved duels over the right to permanently alter the past and establish their product, this prototype is still as yet unfinished and is missing final graphics, theming, and sounds, which were sacrificed to provide more time for gameplay. 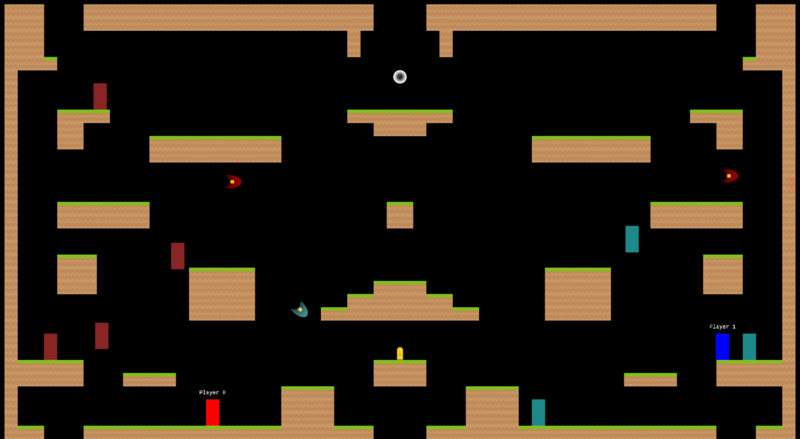 Personal motivations on this project were to push myself beyond my comfort zone ( mouse-based thinky games ) and attempt to actually finish something. Built and tested on Windows, but the underlying Duality framework should be compatible with any platform that can run mono. No platform specific libraries were used. Major thanks to the Duality Community, especially Adam for putting up with my questions and Cross for being a patient sounding board and putting up with my rambling. The Windows:2 build was what was officially submitted for the Jam. However, it relies on the filename case-insensitivity of windows (unknowingly). The Linux/Mac build has this corrected, but was released after the Jam, but will be required for it to work properly on those platforms. I cannot test these platforms myself, but will take reasonable steps to resolve any additional issues. (Windows) In the attached .zip, unpack and run the .bat file.